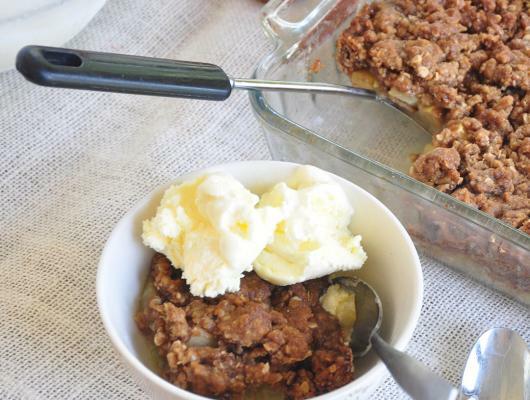 This Apple Crisp recipe is as easy as pie. Well, easier than pie. 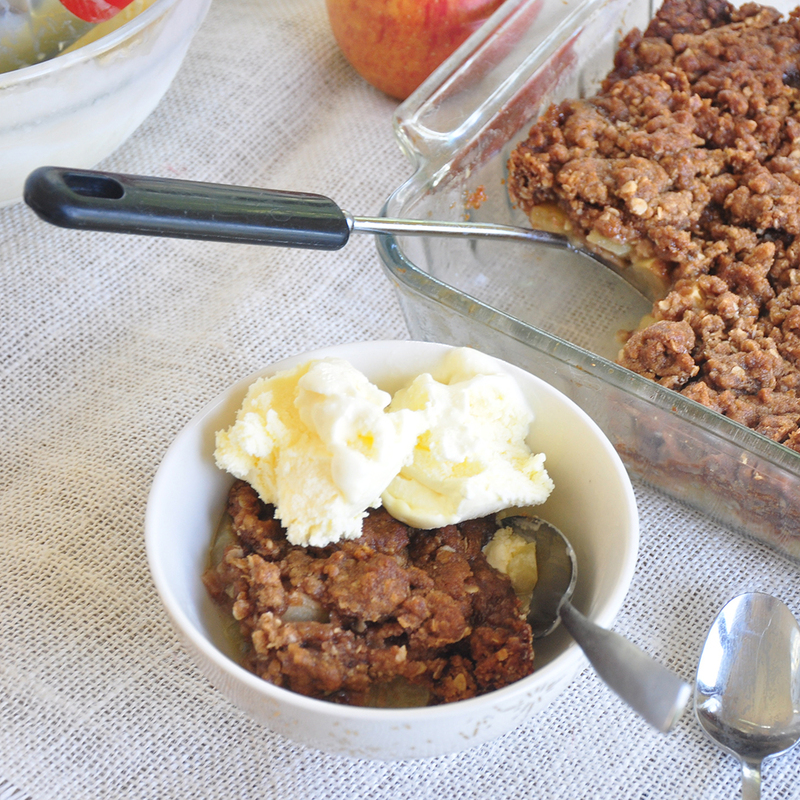 This super simple and uber tasty apple crisp recipe is something the whole family can enjoy. Apple Crisp is a recipe for the people. It is so simple, but still so tasty. If you have a tough time making crusts or don’t have any crusts on hand, this might be the recipe for you. Honestly, there really isn’t much to Apple Crisp and that is the beauty of it. As long as you have some apples and a few other common ingredients, you can make a top shelf Apple Crisp in no time.